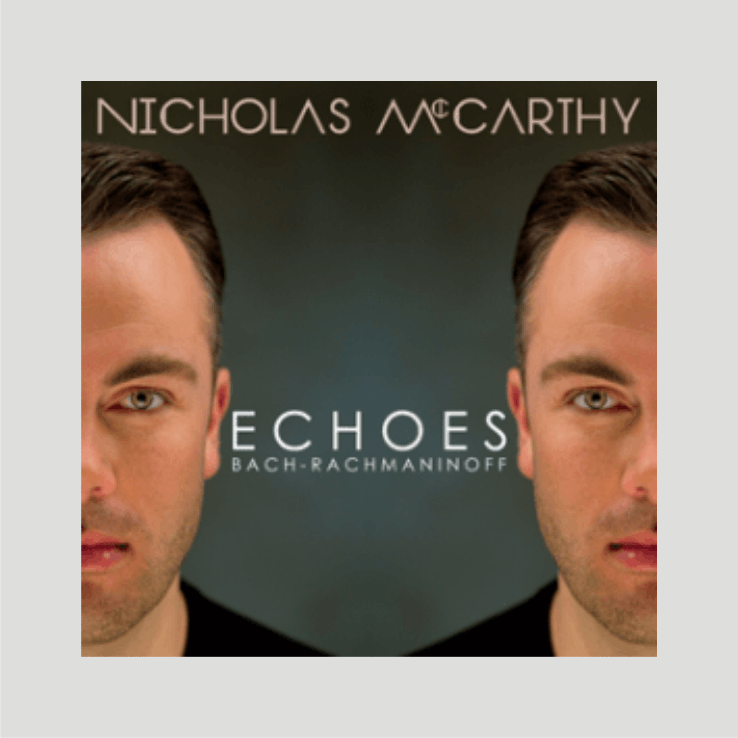 Born without his right hand, award-winning British pianist Nicholas McCarthy is a champion of the brave, dynamic world of left-hand repertoire. With this highly anticipated second album, Echoes presents some of Nicholas’s favourite pieces by composers Bach and Rachmaninoff showcasing virtuosic pieces such as Rachmaninoff’s Prelude in G Minor Op.23 No.5 and Brahms’s monumental Chaconne in D Minor to the stunning Andante from Rachmainoff’s Cello Sonata to the pastoral setting of Bach’s Sheep May Safely Graze. This absorbing album is an opportunity to immerse yourself in the unique sound worlds of these two prolific composers.